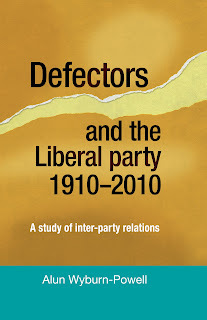 A press release announcing the launch of Defectors and the Liberal Party 1910 to 2010, by Dr Alun Wyburn-Powell, University of Leicester. A new study on political defections from Manchester University Press has identified an ‘archetype’ for someone who is likely to break political ranks. The research, published in the week of Lord Stevens’ defection to UKIP, charts a history of defections over a century. 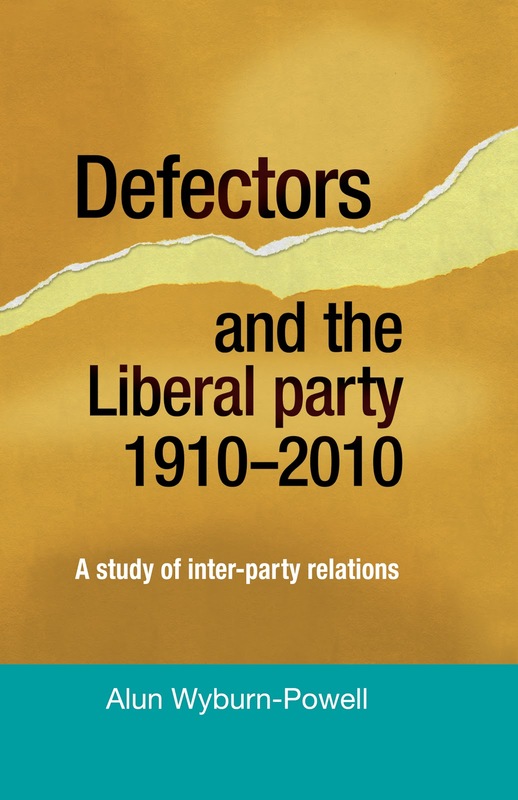 • Dr. Wyburn-Powell’s, ‘Defectors and the Liberal Party 1910 to 2010 – A Study of Inter-party Relationships’ was released this week through Manchester University Press. The foreword is written by Lord Adonis.